IISR Recruitment 2019 (Jobs, Vacancies) | Indian Institute of Spices Research: Indian Institute of Spices research(IISR) jobs. upcoming IISR recruitment notifications, application method, selection method, test pattern, syllabus, mock and old papers, dates of test and interviews, reference books and other details that would help. The Indian Institute of Spices Research is an organization that involves in researches related to the spices in India. Candidates with educational qualification in agriculture (diploma and degree),science, botany, computer science, engineering, management, CA and other allied qualifications are usually sought for Indian Institute of Spices research jobs. The candidates applying for the technical positions should have agriculture related educational qualification. Candidates with biotechnology, computer science and agriculture related qualifications can apply for research and field assistant positions. The candidates have to apply for the positions as per the instructions. The positions usually have caste reservations. The research and assistant positions are usually filled on contractual basis as per the project requirement. The candidates might be posted permanently based on their performance. The candidates might have to take up a written test, group discussion and interview process based on the decision of the authorities. If the number of candidates applying for IISR recruitment drive is very high than the number of vacancies, the authorities have the rights to increase or modify the selection process levels. Indian Institute of Spices Research IISR Jobs for Young Professional -I Agricultural Engg. Young Professional -I Agricultural Engg. 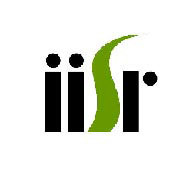 IISR Recruitment 2019 (Jobs, Vacancies) | Indian Institute of Spices Research: Indian Institute of Spices research(IISR) jobs. upcoming IISR recruitment notifications, application method, selection method, test pattern, syllabus, mock and old papers, dates of test and interviews, reference books and other details that would help. The Indian Institute of Spices Research is an organization that involves in researches related to the spices in India. Candidates with educational qualification in agriculture (diploma and degree),science, botany, computer science, engineering, management, CA and other allied qualifications are usually sought for Indian Institute of Spices research jobs. The candidates applying for the technical positions should have agriculture related educational qualification. Candidates with biotechnology, computer science and agriculture related qualifications can apply for research and field assistant positions. The candidates have to apply for the positions as per the instructions. The positions usually have caste reservations. The research and assistant positions are usually filled on contractual basis as per the project requirement. The candidates might be posted permanently based on their performance. The candidates might have to take up a written test, group discussion and interview process based on the decision of the authorities. If the number of candidates applying for IISR recruitment drive is very high than the number of vacancies, the authorities have the rights to increase or modify the selection process levels. IISR jobs are usually sought by the candidates who want to take up research career. The junior researcher, research assistant, field assistant and junior research fellowship positions are usually filled by freshers in agriculture, microbiology and other allied educational qualifications. The candidates are also selected for certain positions through GATE or NET score. The candidates applying for research and technical jobs have to take up a written test conducted by ICAR and IISR. Those who are shortlisted in the test would be called in for the next level of selection. Get in touch with Freshersworld to learn about the upcoming IISR recruitment notifications, application method, selection method, test pattern, syllabus, mock and old papers, dates of test and interviews, reference books and other details that would help the candidates to apply to the job vacancies online and also to learn for the selection process. The recruitment drive happens separately for the positions in each state and for each project. Thus, you would need a portal that would provide all the notifications in the same page. A candidate can apply for more than one position at a time. If the candidate is currently in an employment in any government (central or state) organization, he has to provide a no objection certificate from the current employer on account of getting selected for the interview levels. For certain positions, the candidates have to take up a prelim examination through online and those who are selected in that prelims would be called in for an online examination in a specific center. The age criterion, education qualification criterion, caste reservation details, selection process and other details would vary from time to time based on the decision of the authorities. Thus, it is important to learn about the selection process and criteria from the job advertisement issued by IISR in its official site and also in the leading newspapers. Or, for easy access to the details, get in touch with the Freshersworld. It also provides details and study materials for cracking GATE or NET examination.